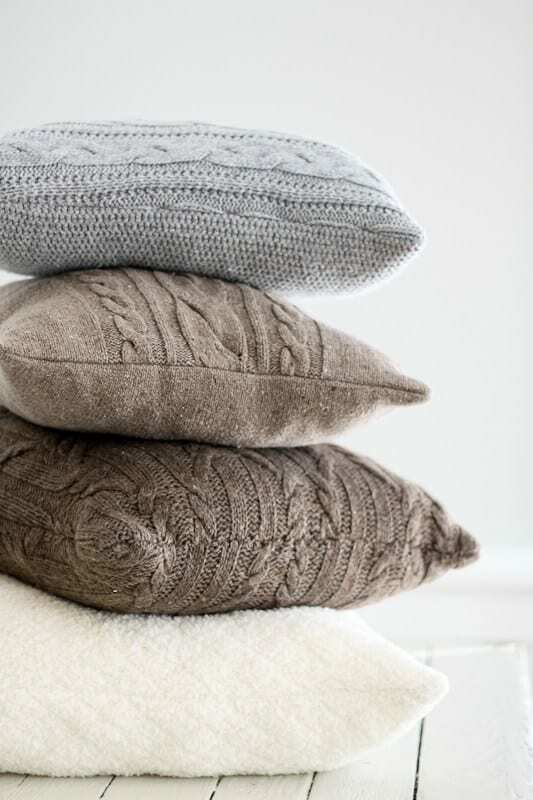 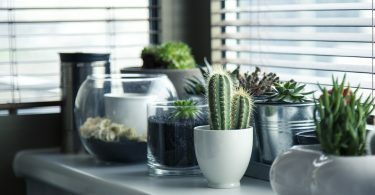 Visit Tidbits for full instructions on how to DIY these Repurposed Sweater Pillows. 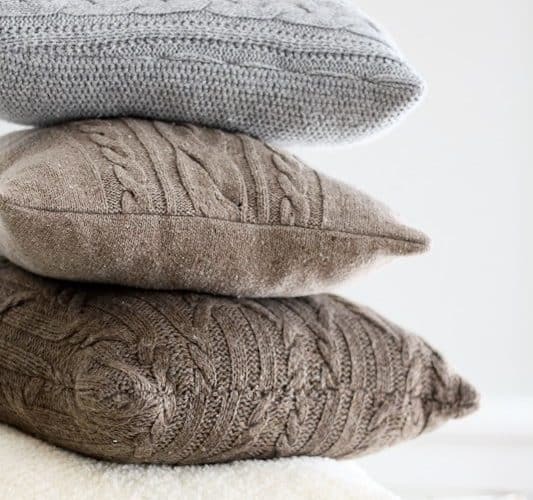 Visit Ducklings in a Row for full instructions on how to DIY these Button-down Pillows. 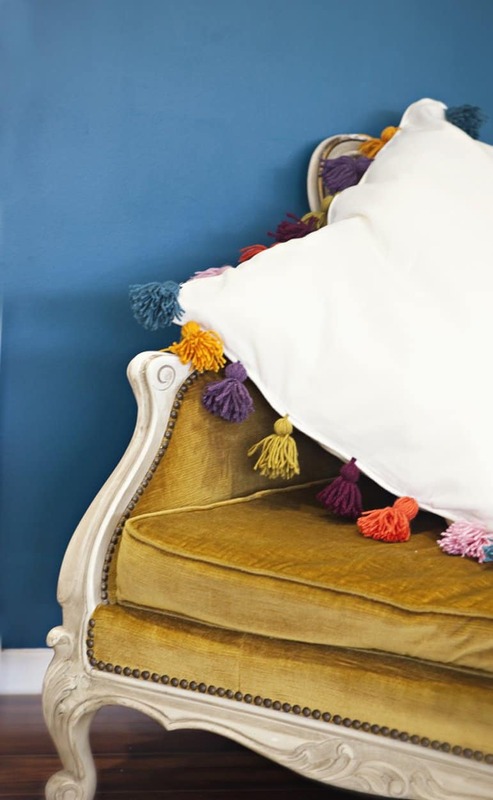 Visit Sewing In No Mans Land for full instructions on how to DIY this Tassel Throw Pillow. 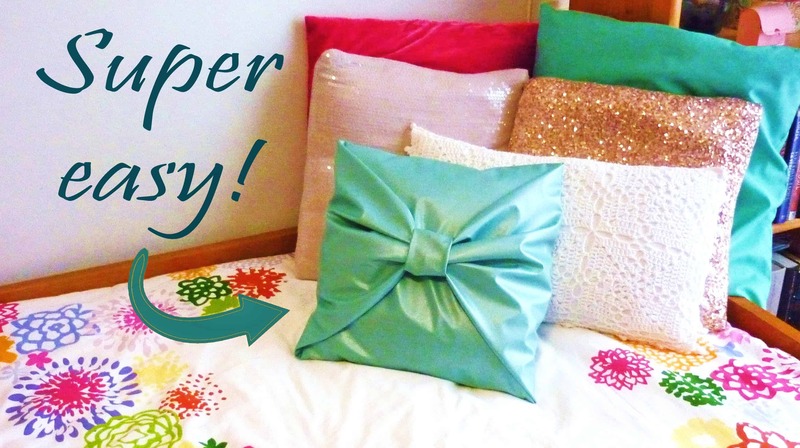 Visit Instructables for full instructions on how to DIY this No-sew Bow Pillow. 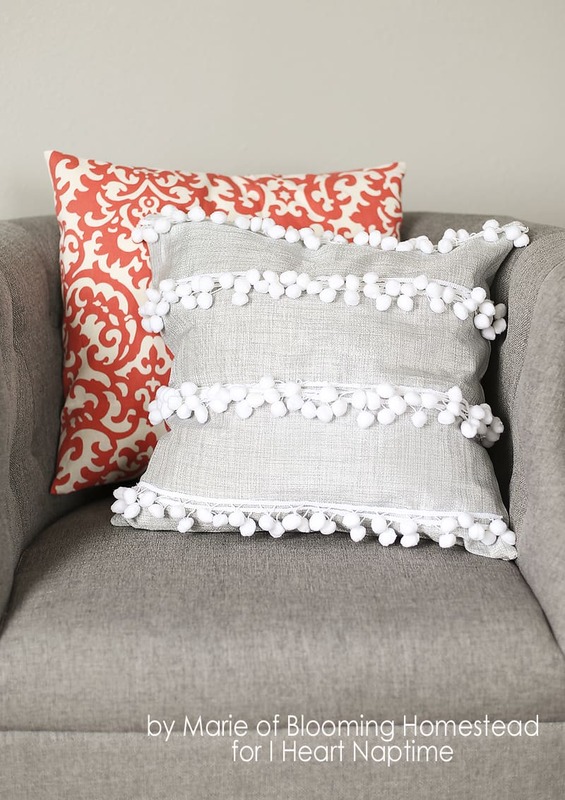 Visit I Heart Naptime for full instructions on how to DIY this Pom Pom Pillow. 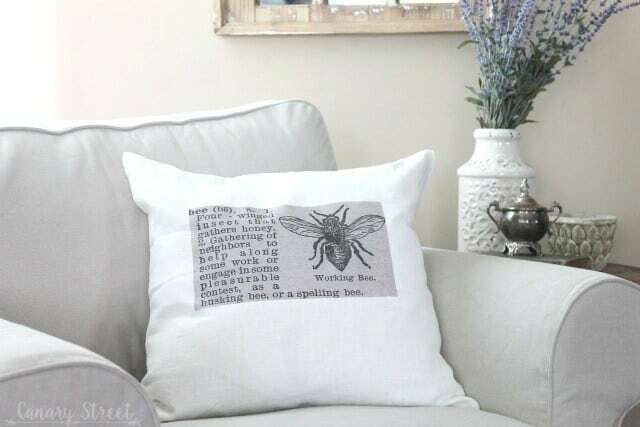 Visit Canary Street Crafts for full instructions on how to DIY image transfer onto fabric.